Imagine if you could talk to your family, kids or friends on Skype, while following them around, looking at whoever you want whenever you want, and walking around the room freely as if you were there. Sounds cool, right? 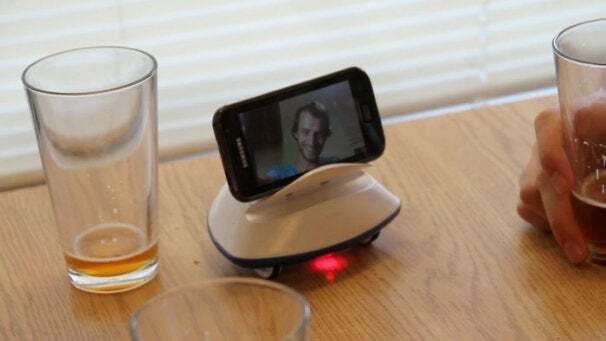 Botiful, a prototype currently being funded on Kickstarter, integrates with Skype and carries your Android phone around, letting whoever you're talking to control it as they wish. For anyone who's counting on Skype for daily communication, Botiful could be a real game-changer, making conversations with multiple people much easier to follow, almost as if you were there. This cute robot can also be used to view any spot you can't see with your own eyes, such as under your car or behind a big closet. It's not just about the robot, though. Botiful also comes with cute apps you can download, which let you quickly perform popular gestures such as nodding for yes or shaking your head for no through the robot. Developers can write their own apps for Botiful, so there are no real limits to what this little robot will be able to do. The current prototype of Botiful will work only with Android devices, and the Kickstarter goal is set to $90,000. However, the developer does promise an iPhone version as well if the project manages to hit $100,000 within the time limit. With $40,000 already pledged and 27 days to go, this looks like a realistic thing to hope for. Watch this video to see Botiful in action. Don't be tempted to stop in the middle, the real action is waiting at the end.